Eliza Relman/Business InsiderPhil Bredesen talks with a supporter at a campaign event on October 27. Phil Bredesen, a popular former Nashville mayor and Tennessee governor, is running for US Senate as a centrist Democrat. In one of the most competitive Senate races in the country, the Democrat has rejected his party’s national leadership and is banking on voters’ trust in his long record to carry him to victory. As the “resistance” movement hopes for a blue wave next week, their saviour may well be a 74-year-old white man who hates calling himself a Democrat. NASHVILLE, Tennessee – Phil Bredesen speaks in the calming tone of a doctor explaining a complicated diagnosis to a patient. But in his case, the former businessman, mayor, and two-term Democratic governor now running for the US Senate is tasked with diagnosing the ills of a nation – and he’s proposing a particularly unpopular medicine. 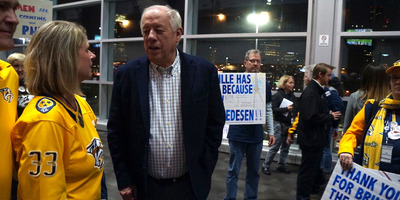 Bredesen has long prided himself on his ability to build consensus and make deals, and he feels compelled to bring that skillset to a bitterly divided and dysfunctional Washington – to restore “the mechanics of government” by pursuing compromise and rejecting partisan rhetoric. “This is the highest and best use of me,” Bredesen said in an interview on Saturday of his campaign against GOP Rep. Marsha Blackburn for retiring Sen. Bob Corker’s seat in deep-red Tennessee. The popular former governor has helped make what should be an easy Republican win in a state President Donald Trump swept by 26 points into one of the most competitive Senate contests this cycle – and one that could very well determine control of the Senate. 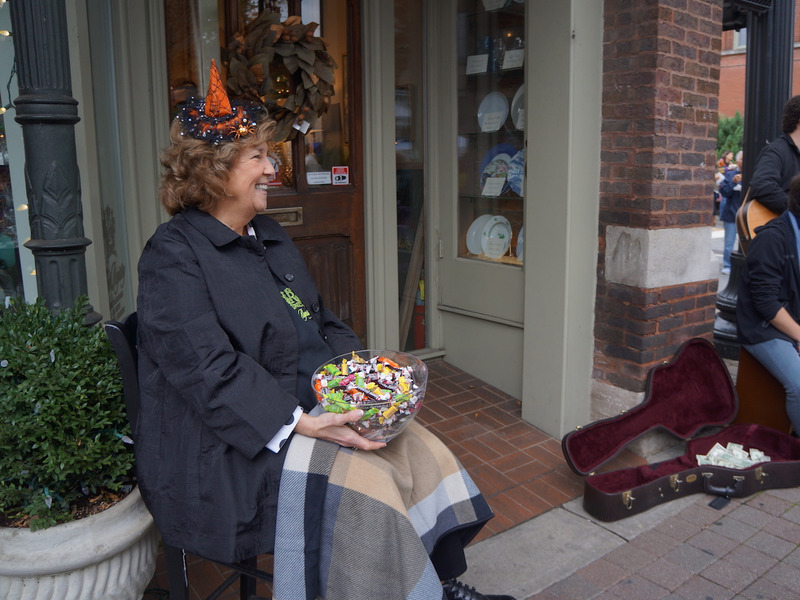 Eliza Relman/Business InsiderLynn Moss, a 66-year-old retired teacher, has voted for both Democrats and Republicans, but says she doesn’t trust Blackburn and Trump. And while Bredesen’s support is certainly not as far-reaching as it once was, it’s hard to find a Blackburn voter who will say a bad word about him. “Phil Bredesen has actually done a lot of really great things here in Nashville,” Sam Cook, a 28-year-old physical therapist who’s voting for Blackburn and is a strong supporter of Trump, said at a fall festival in Franklin last Saturday. Bredesen is counting on a good number of Republican voters – particularly those in the business community – to buck their party this year. Corker, a close friend of Bredesen’s, has called him “a very good mayor, a very good governor, a very good business person” who has “real appeal” in the red state – comments that earned the senator a rebuke from Senate Majority Leader Mitch McConnell. Bredesen is unapologetic in his centrism. He insists that all the most important legislation in modern history (he names Social Security, Medicare, and the Voting Rights Act) was made possible because of bipartisan support. And he’s rejected big policy ideas emerging on the left, including Medicare for All and eliminating the Immigration and Customs Enforcement Agency. “When someone says something like abolish ICE, my reaction is that’s a stupid idea,” Bredesen said in an interview. He says he’s not ready to support a single-payer healthcare system yet. Some other Democrats running for office in the state are mimicking Bredesen’s approach. Justin Kanew, a Democrat and former contestant on “The Amazing Race” running for Blackburn’s seat, is framing himself as a “bridge builder” looking to unite a divided country. “I think it’s really time to get back to listening to each other,” Kanew said in an interview in Franklin on Saturday. Most progressives concede that Tennessee doesn’t present a real opportunity to win by expanding the base. There simply aren’t enough young voters, people of colour, and other left-leaning groups to pursue that path. And the state has grown increasingly conservative in recent years – its congressional delegation went from majority Democratic in 2010 to majority Republican, while its state legislature has solidified a GOP super majority. 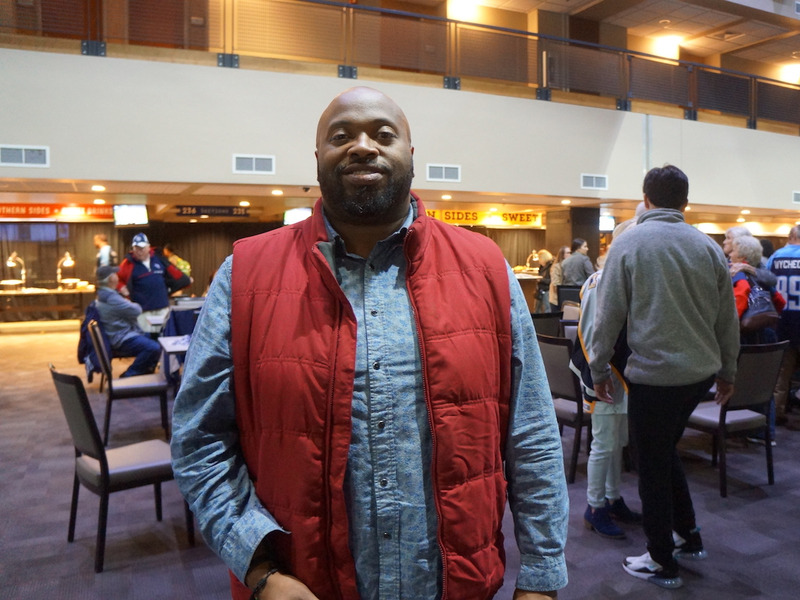 Patrick Green, president of the Amalgamated Transit Union and a former bus operator, said that while he’s in favour of more progressive policy solutions, including single-payer healthcare, he wants Bredesen to stop the bleeding first. “The most critical is that we don’t continue to roll back the protections that are in place,” Green said. But Democrats insist their base is energised and will turn out in greater numbers than any past midterm election. Jasper Hendricks, a 2013 Democratic candidate for the Virginia House of Delegates who moved to Nashville 18 months ago, said he’s been encouraged by initiatives like HUSTLE, a new grassroots text-distribution tool progressive activists are using to connect with voters, particularly millennials and those new to politics. Hendricks added that people are ready to make their voices heard. “It’s been a pretty long last two years for some people,” he said. The polls are already open in Tennessee, and turnout is approaching presidential election-year levels. While it’s unclear what this will mean for either candidate, it’s obvious that voters are engaged. Eliza Relman/Business InsiderJasper Hendricks, a Democratic activist originally from Farmville, VA, at a Bredesen event. “I waited in line for an hour and they had a bell that they ring for first-time voters and the thing was ringing almost every few minutes,” Jeff Yarbro, a Democratic state senator from Nashville, said of his early voting experience last week. While Bredesen has done his best to distance himself from the national party and Democrats in Washington, Blackburn, like so many Republicans running in red states, has wrapped herself around the president. During the candidates’ two debates, Blackburn did her best to tie Bredesen to Hillary Clinton – whose name she mentioned about two-dozen times in both debates – and Senate Minority Leader Chuck Schumer. Blackburn appeared to benefit from Supreme Court Justice Brett Kavanaugh’s contentious confirmation hearings, even though Bredesen ultimately said he would have voted to confirm Kavanaugh. “I’m not gonna call it a circus, but it was very unfortunate what went on up there,” said Ron Deese, a 60-year-old Blackburn supporter who voted for President Barack Obama twice. Meanwhile, Bredesen has said he wouldn’t support Schumer if he goes to Washington – despite the fact that Schumer’s PAC has poured millions into the race on Bredesen’s behalf – and tried to bring attention to hyper-local issues, including the scourge of invasive Asian carp in West Tennessee. And he’s tried to remind Tennesseans of his long record in the state. 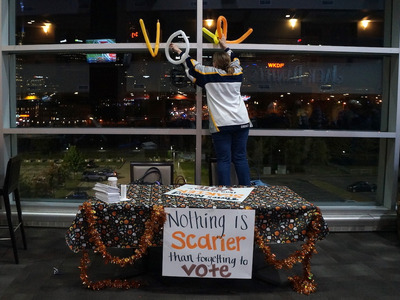 He held a campaign event last Saturday at Nissan Stadium in Nashville on the 20th anniversary of his successful effort to bring the NFL’s Tennessee Titans and the NHL’s Nashville Predators to the state. But many see national issues and tensions as inescapable in the current moment. Eliza Relman/Business InsiderA voter registration table at a Halloween-themed Bredesen campaign event on October 27. He takes issue with what he sees as the party’s abandonment of its core goal of expanding economic opportunity for working and middle-class Americans, in favour of polarising social issues that, however important, appeal to smaller segments of the party’s base. “I think we’ve gotten too elitist about things, I think we’ve gotten too narrow about the definition of what it is to be a Democrat,” he said.